In 2016, Kevin Parry celebrated a milestone with 25 years of Open Mic in Brattleboro, making it Southern Vermont's longest running Open Mic show! Open Mic runs every Thursday from 6:00 to 9:00 p.m. at The Marina Restaurant in Brattleboro, Vermont, on Route 5 where the West River joins the Connecticut River. Open Mic is free and open to all age performers. Musicians participating at Open Mic receive 50% off on their meal! 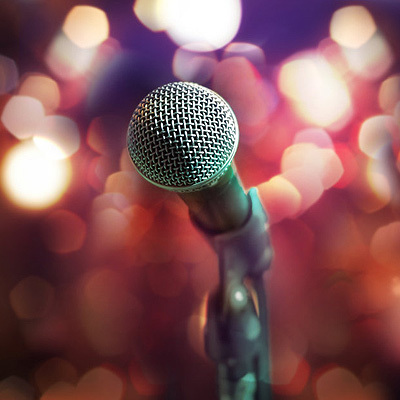 Open Mic is divided into 20 minute slots beginning at 6:00 pm. with the last slot at 8:40 pm. We stop at 9:00 pm. If you call the Marina Restaurant at 802-257-7563, you can sign up for a specific time slot if it is available. If all of the slots are claimed we still encourage you to sign up as an extra in case someone doesn’t show up. If you need to cancel your slot, we appreciate a call. Kevin provides a full sound system with up to 6 microphones. He can also plug electric/acoustic guitars into the system. Bass players should bring a small bass amp. Due to the fact that The Marina is serving dinner during Open Mic, we cannot have drums. Small guitar amplifiers may be used at the Marina’s discretion. Portable keyboards may also be used. If you aren’t sure if your musical act is appropriate for Open Mic we encourage you to stop in on a Thursday night and see how things work. Open mic is a performance venue for live music. We discourage any type of pre-recorded music including background tracks or Karaoke. Open mic is not a comedy club nor a poetry slam. Our audiences come to Open Mic to hear live music.